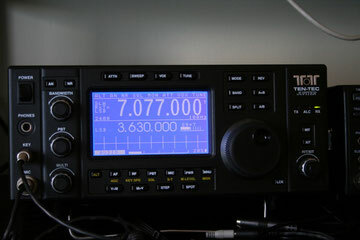 I have received ma new transceiver Ten Tec Jupiter and now i am testing it. The first impression is that it have good receiver, without noise or splatter, i don't know if it is the best for CW but for Phonia i think it is a very good radio. At first the use with menu isn't simple but after known it the use isn't impossible. It is perfectly american filosofy, with menu and for large button and case. Into the radio there is enought space to put your hand for repair it.